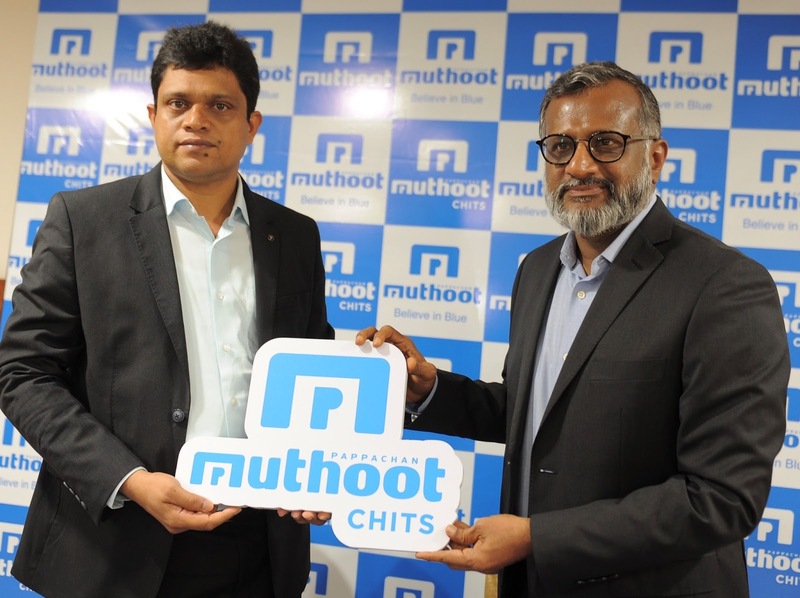 Muthoot Pappachan Group has announced the launch of Muthoot Pappachan Chits business in Bengaluru to financially support the MSMEs and people at the bottom-of –the-pyramid. The aim is to financially empower these segments who are already accustomed to the concept of chit especially in the southern region while maintaining the highest level of ethical standards, best practices, professional integrity, corporate governance and regulatory compliance – for the benefit of customers.. Before the end of the financial year, the intent for the Group is to expand the Chits business beyond Karnataka and look at Rs 1,000 crore of business from Karnataka within this fiscal. These chits will be available to the customers of Bengaluru through the Muthoot Pappachan Chits office located FFK Towers, 1st Floor, 30th Cross, Tilaknagar Main Road, Jayanagar and nationally will be available from over 3600 branches of Muthoot Fincorp Ltd (MFL). MFL is the flagship company of Muthoot Pappachan Group and one of the leading NBFCs in India with over 3500 retail branches, pan India. The chits business in India is primarily unorganised and the organized players are few who are dealing with their own as well as policy challenges and changes in this space. The organised market size of Karnataka for chit business is approximate~ Rs 15,000 crore and Muthoot Pappachan Chits sees itself as one of the major players in the coming years. Roy John, Vice President, Muthoot Pappachan Chit (India) Pvt. Ltd. further added, “Chits are a popular form of saving and borrowing in Southern India and a very strong source of financial management. With our wealth of expertise in the financial services space, we feel we will bring a lot of value and structure to a space that we currently see as driven primarily by unorganised players.”.